Marcelo is Vice President of Strategic Planning at Sancho BBDO, Colombia. 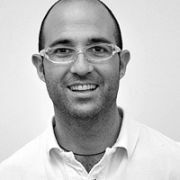 Marcelo has worked for Sancho BBDO for more than two decades. During his time, he has worked his way up from a Junior Account Executive to the Vice President of Strategic Planning. Having lived in the US and UK, he is also frequently called upon to give presentations about Brand Building and Communication, as well as Political Advertising.